Black Royal Piano Finshed Wood Base Pedestal for cremation urns with felt on the top and the bottom of the base. 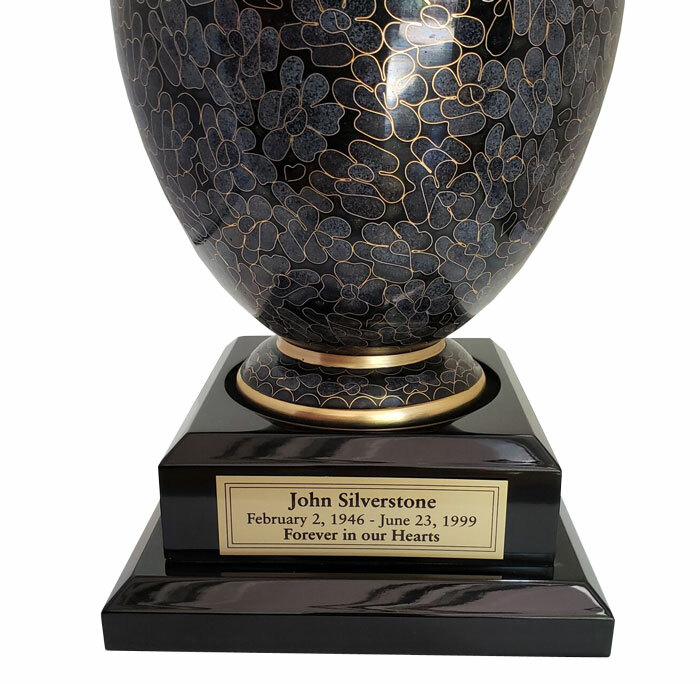 Perfect for cremation urns that cannot be engraved directly. Base Dimensions: 7" x 7" x 3"
Please allow 1 - 2 days for engraving before shipping. Urn in photo is not included and is for display only.